Providing hands-on service delivery while supporting the work, dreams, and goals of others to improve the lives of women, our members find the right niche to meet their interests, time commitment, and financial support. Along the way, our community and world benefit from our efforts and amazing life-long friendships are nurtured. 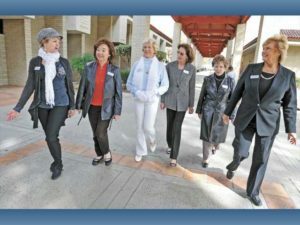 Founded in 1974, SCV Zonta is a dynamic organization of more than 60 professional women working together to advance the status of women in the Santa Clarita Valley through service, advocacy and awareness. 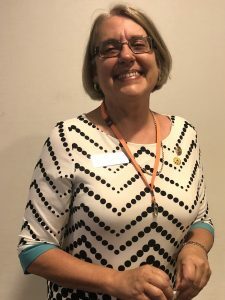 The Zonta Club of Santa Clarita Valley is a proud member of Zonta International, an organization with more than 30,000 members belonging to more than 1,200 Zonta clubs in 67 countries and geographical areas. Zonta International has consultative status with the United Nations and is the means by which we participate in service projects around the world. 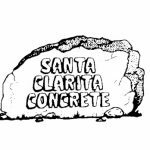 Members of the local club provide leadership to a number of community-based organizations in the SCV. Within Zonta International, local members have served at all levels. Dianne Curtis was ZI President from 2010 to 2012. Currently, Sharon Langenbeck serves as International President-Elect. The Zonta Club of Santa Clarita Valley will be hosting the annual Area 3 Seminar on May 4 at the Child and Family Center. Please join Zontians from our area, Porterville, Santa Clarita, Antelope Valley, Conejo Valley and Burbank, for an exciting day of learning more about Zonta. Make your reservation now. Pay with PayPal below or mail a check to address on flyer. 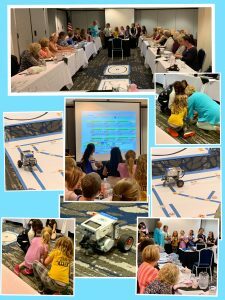 On May 8, 2019 seven of the girls from the Zonta sponsored robotics group visited our Zonta meeting to show what they have been doing during this school year. 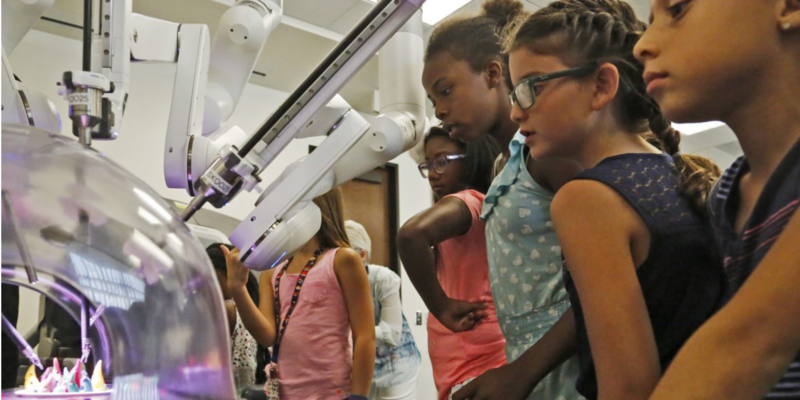 Robotics chair Darleen Lyons had the girls introduce themselves and then give us a demo of what their robot can do. The Zonta Club of Santa Clarita Valley invites everyone to attend our annual Awards and Recognition Ceremony on May 8, 2019 at the Embassy Suites beginning at 6pm. We will be announcing our scholarship awardees, Virginia Wrage winners and Community Grants. 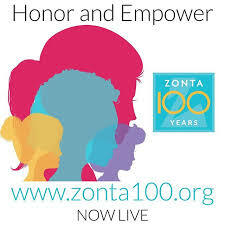 8 November 2019 marks Zonta’s centennial anniversary. Join us in our celebrations throughout the centennial biennium, beginning at our 2018 International Convention in Yokohama, Japan and ending with our 2020 International Convention in Chicago, Illinois, USA. On behalf of the Zonta International Foundation, thank you for the Zonta Club of Santa Clarita Valley‘s dedication and generosity to the Zonta International Foundation during the 2016-2018 Biennium. None of our good work is possible without the generosity of Zonta clubs. We appreciate all of your efforts. Together, we empower women and girls, through our education programs, our international service and ZISVAW projects, and through our belief and investment in them. Your donations help women and girls transform into stronger, more confident, and responsive world citizens. On behalf of all of the women and girls touched by ZIF, we thank you. As a token of our gratitude, a special image has been created to use on your website and fundraising materials to showcase your commitment to the Zonta International Foundation. 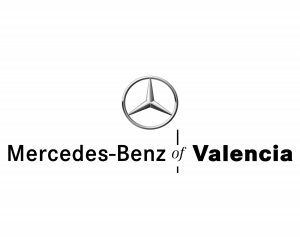 We ask that you use the attached image only in this context. When posting the image, it is best not to stretch, skew or change the image in anyway, but it can be resized to fit your needs. If you have any questions regarding the use or posting of your image, please do not hesitate to contact me. Again, thank you for your club’s impressive efforts during the 2016-2018 Biennium. City of Santa Clarita presented Zonta with a proclamation declaring Oct Domestic Violence Awarness Month. Several Zontians attended the council meeting wearing their "Zotna Says No" shirts. Human Trafficking is our educational and advocacy target for 2018-19. 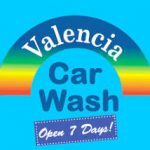 We will focus on teenage girls in Santa Clarita who are the most vulnerable to be trafficked. Foster youth including emancipated youth and incarcerated teens at Camp Scott. At Camp Scott 40% of the girls are victims of sexual abuse or exploitation. No minor is ever detained for human trafficking or sexual exploitation, they are the victims. By investing our time and experiences with the young ladies our goal is to increase their confidence and self-worth so that their vulnerability to accepting the lies of traffickers will decrease. Our members are encouraged to become “FYI Allies” to the girls in the program who are currently in foster care or are emancipated youth. The Allies will guide and encourage the young women as they pursue a post-secondary education, we will be providing personal care kits for the young women, through out the year, as well as gift cards for their holiday stockings. The 16 days of Activism – Zonta Says NO to Violence Against Women. The seven red dresses will again come to life in trees around Santa Clarita in early December. These dresses represent women in our town who lost their lives because of domestic violence. When hung up the wind begins to move them and creates a haunting and moving image as reminder that we should “ Stand up and Speak up” if we suspect there is domestic violence. and every woman is able to achieve her full potential. In such a world, women have access to all resources and are represented in decision making positions on an equal basis with men.